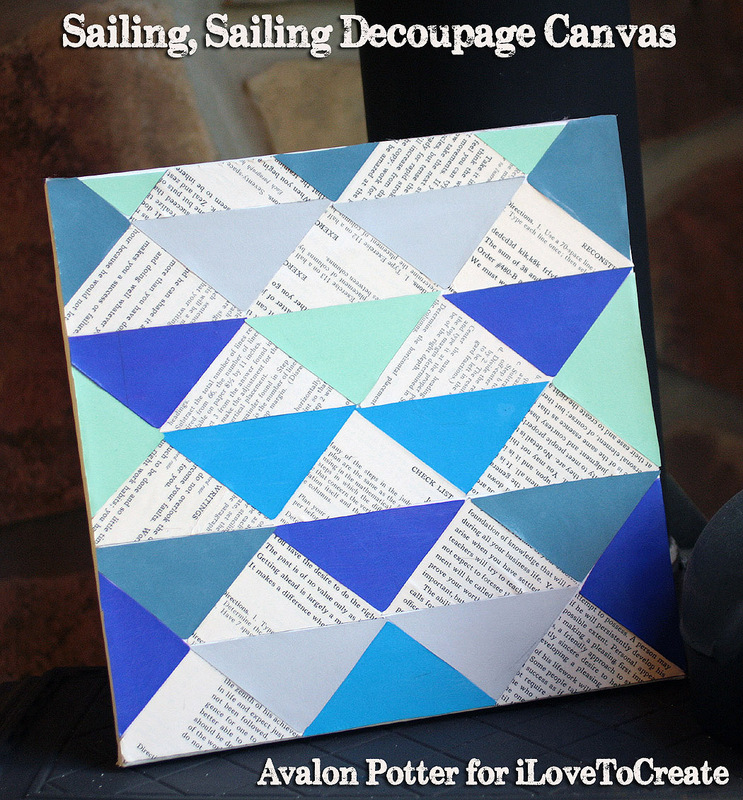 Avalon made this simply chic op art style canvas using old book pages and cardstock on an inexpensive craft store canvas. This is so easy to make and the variations on this theme are infinite. 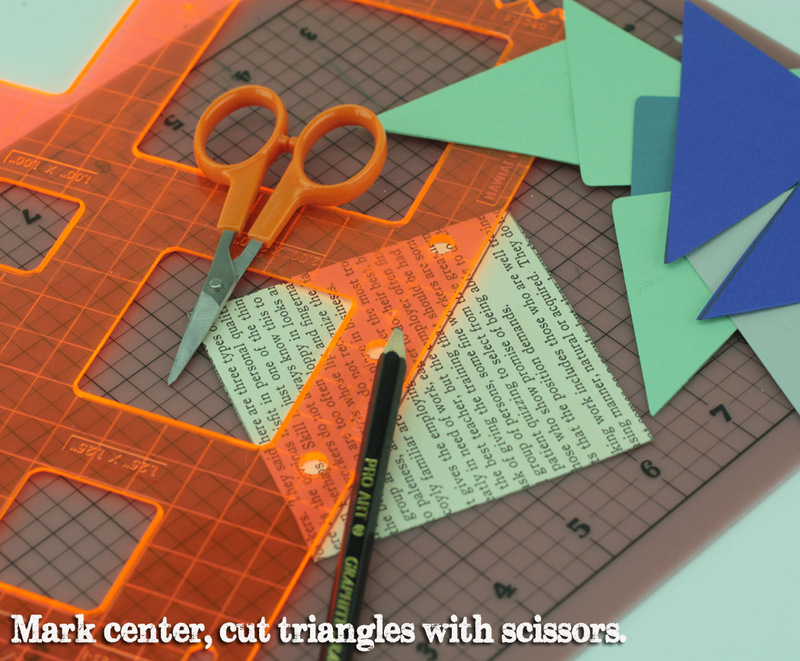 Fiskars has some great shape cutters that make quick work of cutting squares that are easily halved into triangles. Piece them together and adhere to your canvas with Aleene's decoupage medium in matte finish and you have a fabulous one of a kind work of art. Best of all, you're the artist! Mark half point on squares with pencil and cut with scissors into triangles. 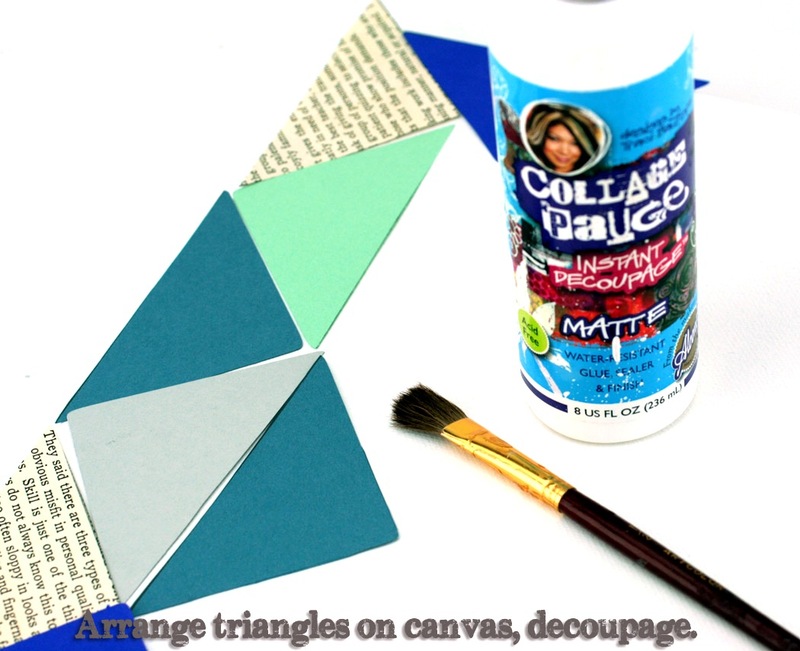 Arrange triangles on canvas. Spread a layer of decoupage under each triangle and cover canvas. There will be overlap, go back after canvas is dry to cut this off. Cover entire canvas with decoupage medium, allow to dry. Do not worry about bubbles, they should go away when canvas has dried. You can use a wet finger to smooth them or a brayer. 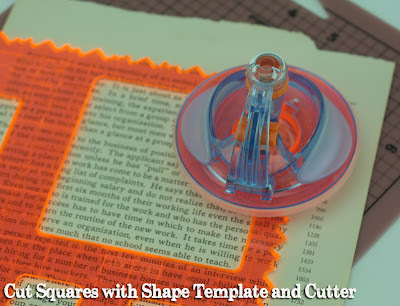 You can start in the center and work up and down canvas for a symmetrical effect.